for its typical beauty of forest and amazing wild life sanctuary, 72 km away from a state capital Thiruvananthapuram, a majestic beauty is waiting at the other side for nature lovers. 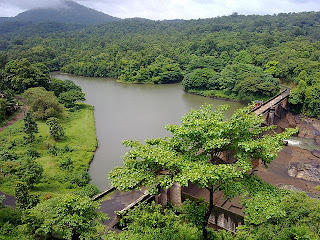 Thenmala is a first plan eco tourism destination for tourist and it defines how beautiful this small village is. Renowned for its shooting destination this place is a hub of Malayalam movies. Adventure here nestles in a way an adventure lover would love it to be, trekking, mountaineering, boating, rope bridge; biking and musical fountain all has its address here at a beauty of Thenmala village. Its swift connection with its nearby places like Trivandrum and Punalur has made this place a prime destination for a tourist to spend their time at a mist beauty of Thenmala. Palaruvi, beautiful waterfalls that cascade from a midst of beautiful site is a prime destination where tourist hoards in numbers, beside that a road nearby which leads to a deer rehabilitation center from a site of dense forest allows nature lovers to calmly discover a beauty and a serene ambiance of this place. Walk deep into traditional tree house crafted by a forest dweller; see how they set a beautiful location with their skills and excellence. Escape a moment of life to discover a beauty of gods own country Kerala where magical moment graphs beneath the beauty. Shenduruney Wildlife Sanctuary, a most important sanctuary and a pristine eco tourism center, its area is widening up to 100 square km and it’s filled a varsity of various flora and fauna. 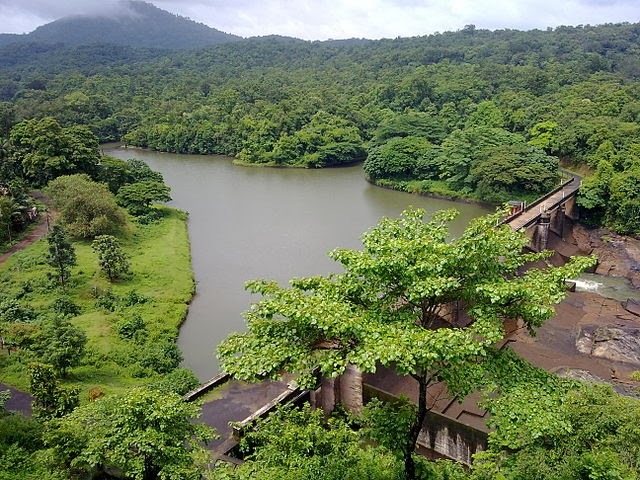 A green vegetation and an alluring beauty of natural inhabitants this sanctuary carries a high significance in making Thenmala a beautiful place. Thenmala in local dialect means a combination of then and Mala which recites honey hills and the honey of Thenmala is of high medication value and are of awesome in taste. Sculpture Garden, with the theme of man and nature, this beautiful garden depict a beauty of nature, a serene beauty and a lush green environment accommodate a wonders and makes this place irresistible for human. As the beauty grows it has become more like a culture of Kerala to incite a beauty within life. Elevated walkway, one can hear gorges of air meandering with a beauty of surrounding a natural escape call for a beauty of adventure, walkway flies over a beauty of rocky edges allowing tourist to explore a natural beauty that surrounds here. Listen to the chirp of bird, canopy through the forest beauty and enhance a moment to an extent where you could simply lose out on every stress of life. Butterfly Safari, it is a beautiful garden of butterflies where one could get to see all kind of wings of beauty flying with a wonders of colors, here you have a brilliant chance to explore a beauty of nature. Musical Dancing Fountain, surrounded within an ambiance of nature, fountain looks to allure your mind with its tale of wonders be here and enjoy a ballet of music. Come here get traditional and take something out of a beauty of nature.